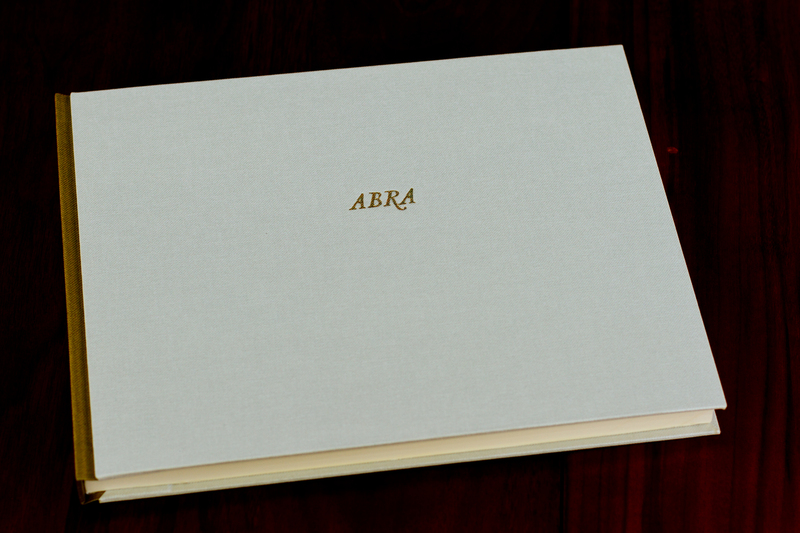 The recipient of an NEA-funded Expanded Artists’ Books Grant from the Center for Book and Paper Arts at Columbia College Chicago, Abra is an exploration and celebration of the potentials of the artist’s book in the 21st century. 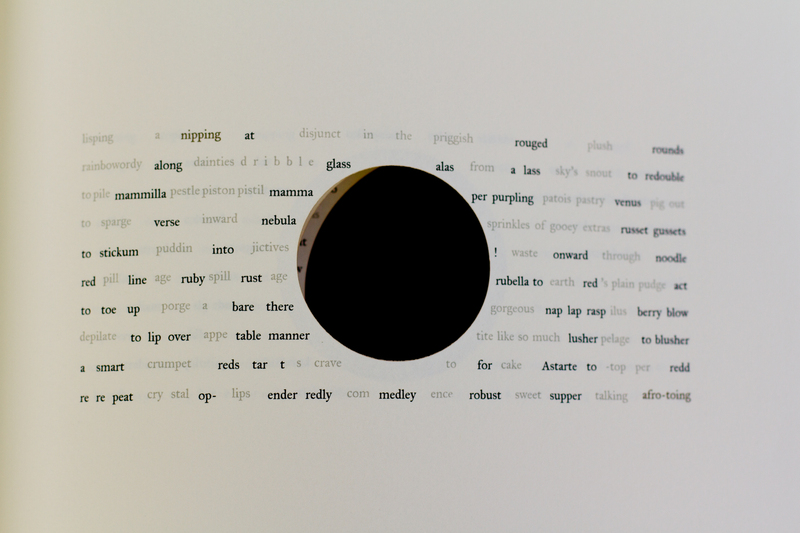 A collaboration between two poets, one visual artist, one iOS artist-developer, and a potentially infinite number of readers, the project has two main manifestations: an artist’s book and an interactive iPad app edition. Abra plays with the notion of the “illuminated” manuscript in both its physical form and on the digital screen. 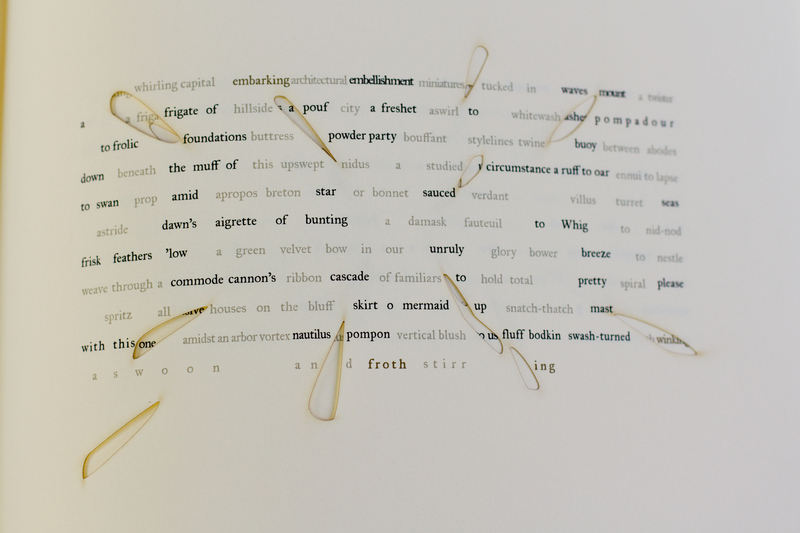 In the artist’s book, poems grow and mutate as the reader turns the pages, blurring the boundary between text and illumination, marginalia and body. 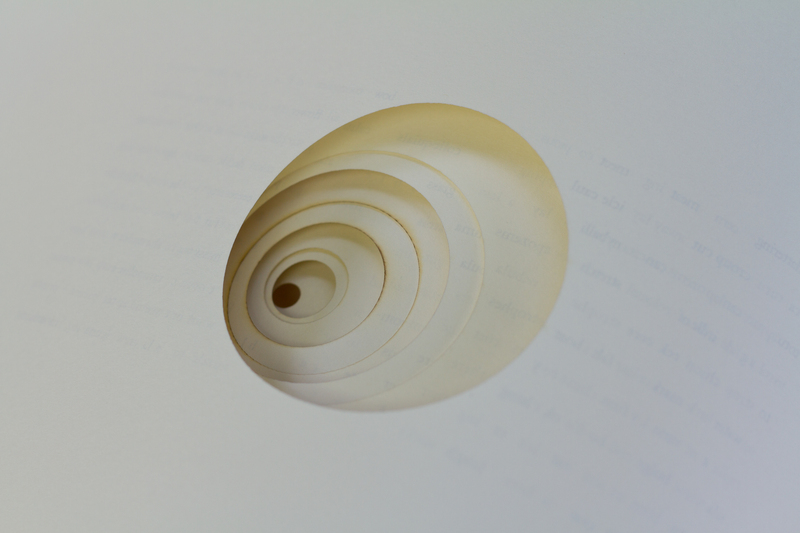 The poems coalesce and dispersing from one page to the next, “illuminating” one another’s interstices in a flip-book animation that enacts the ecstatic helix of language. The text itself also plays with mutation, forming new words and conjoining phrases, and referencing fecundity as it manifests in the natural world, the body, human history, popular culture, decorative arts, and ornate architecture, revealing the mutating evolution and continuous overlap of all these spheres as a direct connection to the constantly-changing technology of the book. 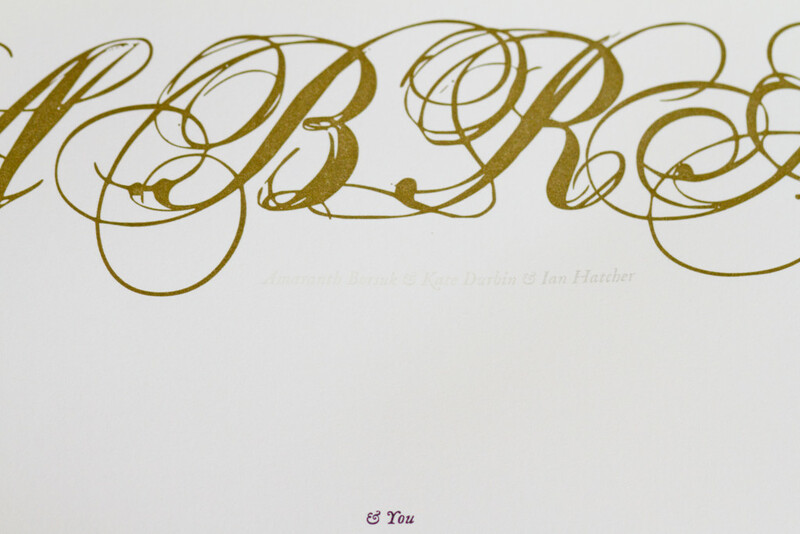 The artist’s book invites readers to interact with the text through blind letterpress impressions that evoke cuneiform printing, gold initials and wide margins that evoke manuscript illumination, thermochromic ink that disappears with the heat of your hands or breath, and laser-cut openings that reveal the book as an interface with both depth and surface. The two can be read separately or together, with the iPad inserted into a well in the back of the book to create a continuous touch-screen interface. In conjunction with the artist’s book, a free iOS app, developed by intermedia artist Ian Hatcher, extends and revels in this ephemerality, putting special emphasis on interactivity to highlight the role of the reader. Abra functions much like the magic word of its origin–abracadabra–as an unpredictable living text. 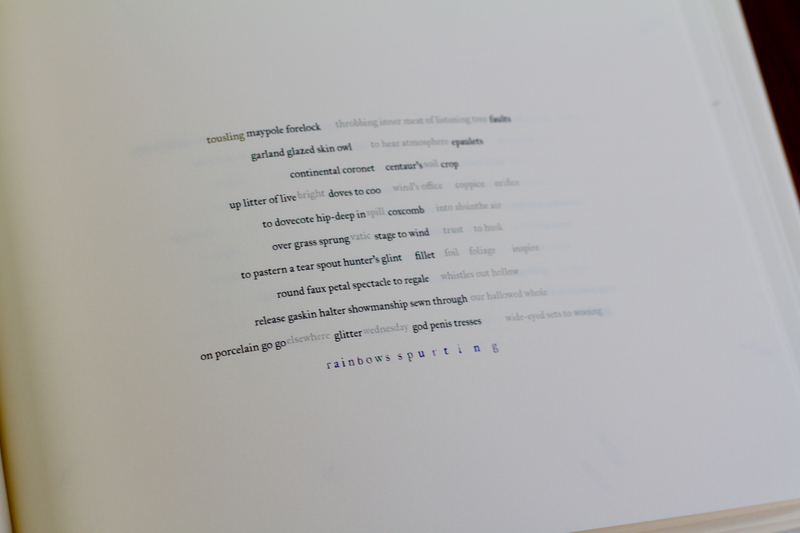 Not only does the text grow and change on its own, readers take part in the process, touching to mutate, graft, and prune the text, watching words shift under their fingers. Casting spells to set it in motion, readers can experiment to discover Abra’s secrets and make her poems their own. Ann Royston, “Provoking the Artist’s Book, Part 2: Analog and Digital (or the Raw and the Cooked),” Book Art Theory, College Book Art Association (2017). Robert Bolick, “Bookmarking Book Art – Amaranth Borsuk,” Books on Books (February 19, 2017). Dorothy Santos, “Playing With the Written Word,” Weird Sister (November 1, 2016). Simona Caraceni for Artribune, an imprint of Italian newspaper Il Messaggero (September 15, 2016). Urszula Pawlicka, “Abra: A Living Text for iOS,” University of Warmia and Mazury in Poland (April 26, 2016). “A Book that Refuses to Stay on the Page.” The Literary Platform (March 30, 2016). DJ Pangburn, “Poetry Becomes Moving Art in App Form,” The Creators Project (February 12, 2016). Gemma Wilson, “New App Explodes the Book,” Seattle City Arts (March 24, 2015). An artists’ paperback edition of Abra, featuring illustrations by visual artist Zach Kleyn that animate across the surface of the page in conjunction with the poems, is now available through 1913 Press. Pictures of Ian and Amaranth’s visit to the Center for Book and Paper Arts can be found here. Information about the Radical Publishing Project, including details on the other Expanded Artists’ Books, can be found at the CBPA website.